Optometrists check for problems with your eyes and prescribe remedies for eye diseases and conditions. If you're an adult, it's recommended that you regularly have a full eye examination by an optometrist. Optometrists are part of a group of eye care practitioners that also include dispensing opticians and ophthalmologists. Optometrists conduct eye exams, diagnose eye disease or other conditions, and prescribe glasses or other optical aids for eyesight problems. Dispensing opticians sell and fit glasses, but can't perform eye health examinations or prescribe. Ophthalmologists are doctors who specialise in managing serious eye conditions and performing eye surgery. How do I find an optometrist? the New Zealand Association of Optometrists. 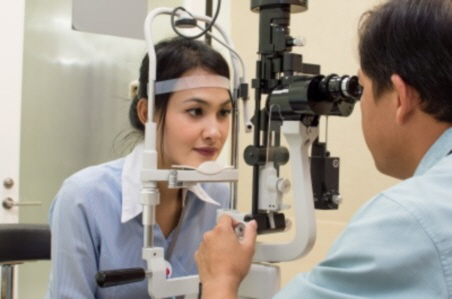 What qualifications and training do optometrists have? undergo continuing professional training each year. The majority also have an additional Therapeutic Pharmaceutical Agents (TPA) endorsement allowing them to prescribe medications for eye problems. A small number are also able to manage and prescribe for glaucoma patients. prescribing glasses or other optical appliances for defects in sight. If you have poor vision, you should see an optometrist. But even if your vision is not poor, it's a good idea to have an optometrist perform an eye exam to check for diseases or defects that may not have any symptoms, such as glaucoma or diabetes eye disease. Optometrists all work in private practices. need contact lenses and you are either extremely short-sighted or long-sighted, or you have keratoconus. Written by HealthInfo clinical advisers. Page created August 2016.